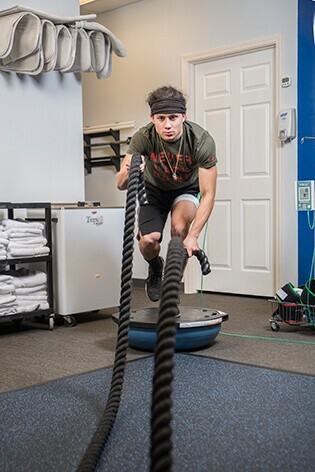 A cutting-edge treatment for those who’ve experiences musculoskeletal injury or surgery, Blood Flow Restriction (BFR) therapy can offer incredible advantages to the rehabilitation process. The use of BFR can speed up healing and recovery while minimizing the potential for muscle loss, all while minimizing the training load, and overall stress, required at the site of your injury or surgery. Blood Flow Restriction therapy is a rehabilitation tool that combines the use of a tourniquet and Doppler system placed on the arm or thigh that restricts blood flow to the spot where injury and/or surgery took place. By restricting blood flow, the muscles aren’t required to work as hard (20 to 30 percent loads vs. the normal 70 percent load) in order to strengthen muscles. 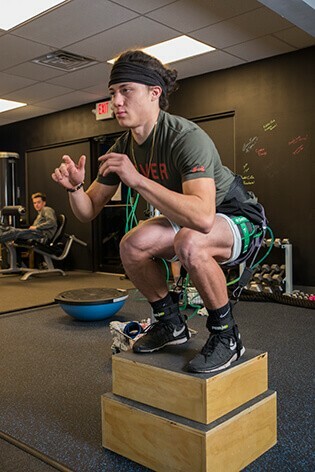 This is an important breakthrough because, through BFR, patients no longer need to wait for the affected joint or limb to heal before it can physically handle the level of resistance typically needed to build strength. Thus, healing and recovery is expedited. If you’ve suffered an injury or have an orthopedic surgery scheduled, and you’re wondering if BFR Therapy could work for you, contact us to set up an evaluation of your condition and your quickest, safest and most direct path toward healing. Jacob and the rest of the clinicians and staff at NG Therapy were great. Blood Flow Restriction was more than worth the drive from Benton to Cabot. 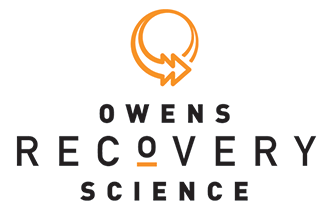 I am a PT myself, and I only wanted to go to the best for the cutting edge therapy they have that is the only place in Central Arkansas with BFR available. Runners take note…Next Generation Physical Therapy in Cabot, AR needs to be on your speed dial. IT Band issues on both legs! After cutting edge therapy including blood flow restriction, I am ready to tackle my next adventure – a 5k at night followed by a half marathon the next morning. My PT was the very professional & attentive Emily Johnson.